The fair is the brainchild of Philippa Buckley of TIME4 Events Ltd., and Bill Howard of Minehead Old Town Hall Investments Ltd (“MOTHI”). 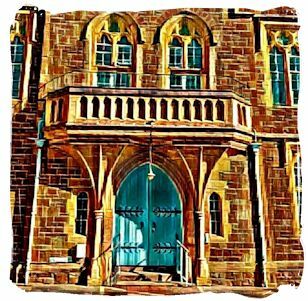 Bill will be available during the day to answer questions about future plans for, and lead tours of the building. “Our vision for this iconic building has always been for it to become a community hub for Minehead and the surrounding area. The forecourt gives us the opportunity to begin to serve the community before the renovation work is complete. There will be a mix of groups present, with information about community services, as well as Engage’s Volunteer Centre, which carries details of many volunteering opportunities across West Somerset. 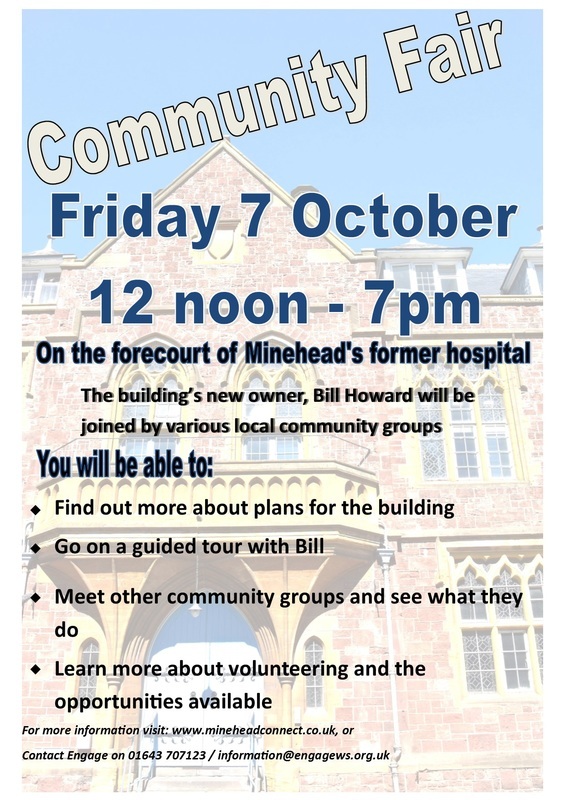 Engage is working with MOTHI (Minehead Old Town Hall Investments Ltd) to organise a Community Fair on the forecourt of the former hospital in the Avenue, Minehead, and we would like to invite you to take part. There will be space available for you to promote your work as well as seek volunteers and support from members of the community. The day will run from 12 noon until 7pm to enable working people to come along. There will be opportunities to speak to Bill Howard from MOTHI about plans for the building and there will be guided tours for a more in depth look. We believe that this opportunity will attract people who may not have previously attended community events and, as such, could bring a new audience for you to engage with. There are currently 14 spaces available, which will be allocated on a first come, first served basis. To book a space, please email Dan Cross at: information@engagews.org.uk or call 01643 707123.